© 2014 Abora Recordings LLC. Follow the Abora Recordings Soundcloud profile here: https://soundcloud.com/aborarecordings. 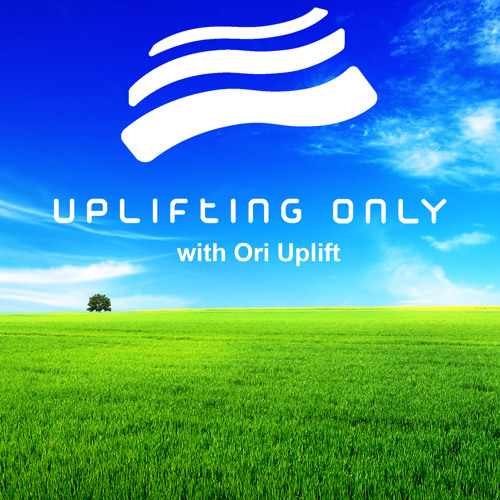 Follow Ori Uplift's Facebook here: http://www.facebook.com/oriuplift Uplifting Only with Ori Uplift: Episode 085 The Best in Orchestral Uplifting & Uplifting Trance Show information at www.upliftingonly.com. All tracklists & links at http://tracklists.upliftingonly.com. With 6 (yes, six!) exclusive world premieres, including the new Kelly Andrew! And with a guest mix from Selax & Make Believe! + the final mix of Filip "Playme" Folkesson - For Love :) A total of 16 not-yet-released tracks! TRACKLIST: 1. [0:00:31]: BREAKDOWN OF THE WEEK: SoundLift - Forever [Abora Skies] 2. [0:06:26]: ON THE HORIZON: Kelly Andrew - Wonderland (Orchestral Trance Mix) [Abora Skies] [WORLD PREMIERE] 3. [0:12:42]: PRE-RELEASE PICK: Playme - For Love (Energized Edit) [Abora] [WORLD PREMIERE] 4. [0:17:31]: FAN FAVORITE: Borealnight - Beyond the Silent Skies (Orchestral Mix) [TFB Records] 5. [0:24:02]: Philler Music - A Long Journey (4Seas Remix) [Trancer] 6. [0:29:58]: Harmonics Audio - Dreams (Ico Remix) [D.MAX] 7. [0:37:23]: Rambacy feat. Danny Claire - New Life (Fady & Mina Less-Hard Dub) [Abora] 8. [0:42:08]: Sava - The Journey (Dreamy Remix) [Veritas] 9. [0:48:34]: Afternova - By Your Side (2014 Remake) [Time Leap] 10. [0:53:26]: Alex Wackii - Ode To Felix (Ikerya Project Remix) [Pulsar] 11. [0:59:01]: Nikolauss - Skyline (Alex Shevchenko Remix) [Trancer] [WORLD PREMIERE] 12. [1:06:03]: Armin Van Buuren - Who's Afraid Of 138?! (Insid3r Remix) [CDR] 13. [1:12:12]: Aftermorning - Superlative (Dave Cold Remix) [Pulsar] 14. [1:19:23]: Infinity & Ezietto - Distant Moon (4 Seas Emotional Remix) [Trancer] [WORLD PREMIERE] 15. [1:25:07]: Ehsun - Valles Marineris (Serge Macoveu Remix) [Veritas] 16. [1:29:42]: Manida - When I See You [Exotic] 17. [1:34:52]: Marcprest - Losing Memory (Ula Remix) [Soul Waves] 18. [1:40:14]: Another World - Holding The Sun (O.B.M Notion Remix) [Synchronized] 19. [1:45:22]: Farzam - Narnia (Danila Kraev Remix) [Pulsar] [WORLD PREMIERE] 20. [1:51:22]: Beatsole & Michael Retouch - Wasteland [Transistic] 21. [1:55:58]: Skyvol - Biotonica [Skyvol] [WORLD PREMIERE] The world premieres were track #s 2, 3, 11, 14, 19, & 21. The not-yet-released tracks were #s 1, 2, 3, 4, 8, 9, 10, 11, 13, 14, 15, 16, 17, 18, 19, & 21. ----------------------- Remember to vote for your favorite songs! http://j.mp/uovote. Ori cares about what you think! Voting results for all episodes can be found on Facebook at http://j.mp/uoresults. To sign up for weekly tracklist emails, go to http://j.mp/uosignup. Each week, each Thursday, a new episode airs on DI.fm (Epic Trance channel) at 1200 EST/EDT, which usually corresponds to 1800 CET / 2130 IST. It is posted to Soundcloud, Mixcloud, & iTunes as a podcast soon thereafter. That's more like it... Out of the flower garden into some thumping trance. Thanks again for this fabulous amazing nice trance,I enjoid. @dj-fays-1: Thanks so much! You're very welcome! @rob_wolf: You're very welcome Rob! Glad you love it!